Don't forget your cameras! There will be tons of great photo opportunities during our traditional graduation ceremony! 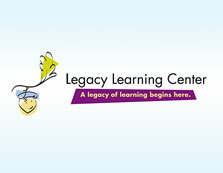 Join us in celebrating your child's accomplishments at Legacy Learning Center and their upcoming entrance into elementary school in the fall. The ceremony will begin at 4:00 PM and will be immediately followed by refreshments in the cafeteria.